You Aren’t Doing It Right. 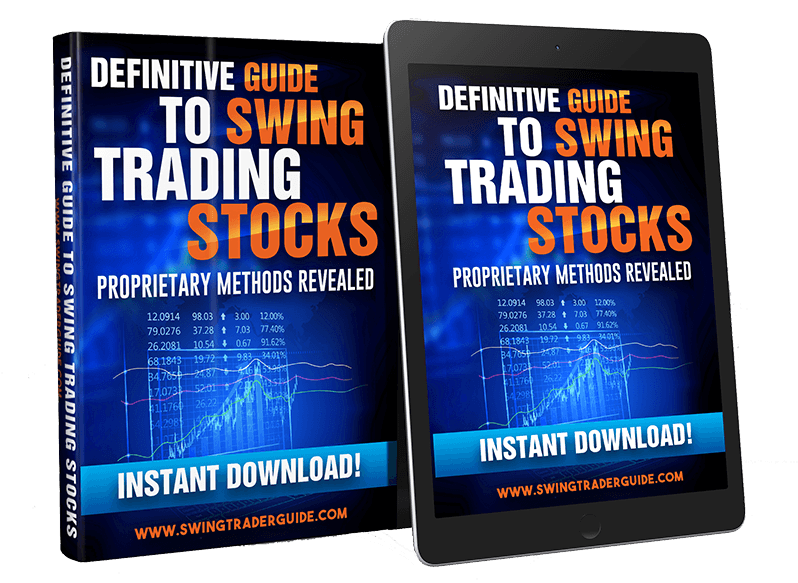 My name is Kevin Brown, author of The Definitive Guide to Swing Trading Stocks, and I’m here to tell you about my swing trading course that has helped people around the world become profitable traders. I have over 20 years of experience as an independent full-time trader, and I have made it my goal to share my experience and knowledge with those interested in finally learning how to swing trade successfully. I have found that 90% of traders are doing it wrong and that is why most are losing money or just breaking even. It doesn’t have to be that way because successful trading is repeatable. I think you will find my course to be one of the best resources for furthering your trading education you will ever find. I GUARANTEE I can teach you to trade profitably or I will refund you every penny. You have NO RISK so keep reading. If you have read this far, I assume you are interested in making $7,345 or more per month swing trading. and how often to trade to make that much profit each and every month? Well, me and my trading customers all over the world do. stock trading “secrets” then you are not alone. there are only proven mathematical principles. To your success in trading! Find And Successfully Swing Trade Only the Best Market Opportunities! Virtually any freely traded market! “ I liked Kevin right from the start and I could tell right away that he was part of the “keeping it real” crowd. I wasn’t going to get any hype. And, I could tell that he wasn’t going to insult my intelligence by showing me a bunch of “theories” that would never work in the real world. There are numerous trading e-books out there for sale. Some are good. Some are not so good! “ Kevin, I just finished reading your swing trading book and it is brilliant. 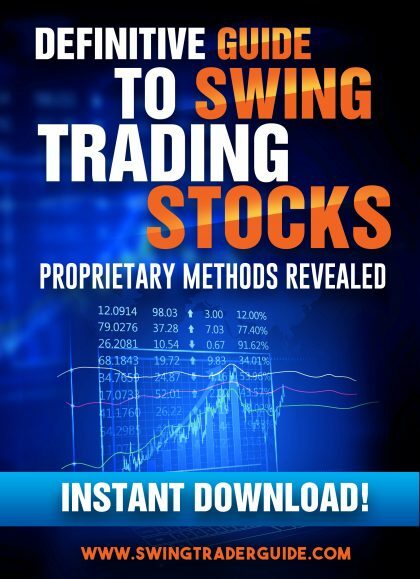 Readers can learn everything they need to know about swing trading and the methods can be used in any market and any time-frame…. It is the complete package! 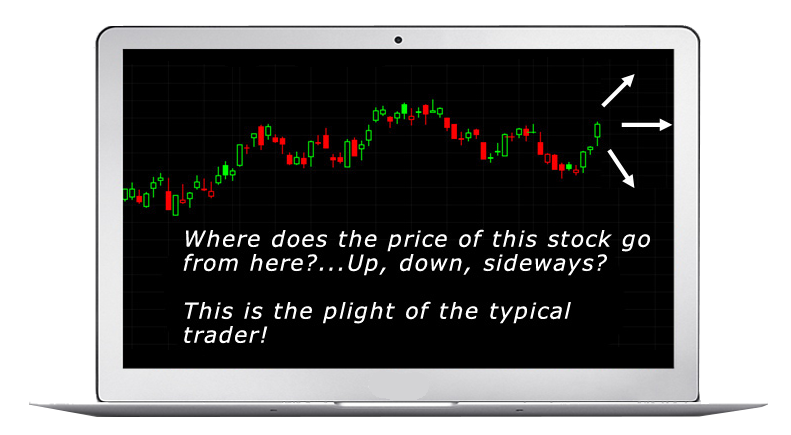 You don’t just provide theories – you provide a full trading strategy that traders can use to fit their own trading style. 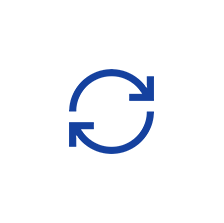 This is shown in easy to understand charts and diagrams. 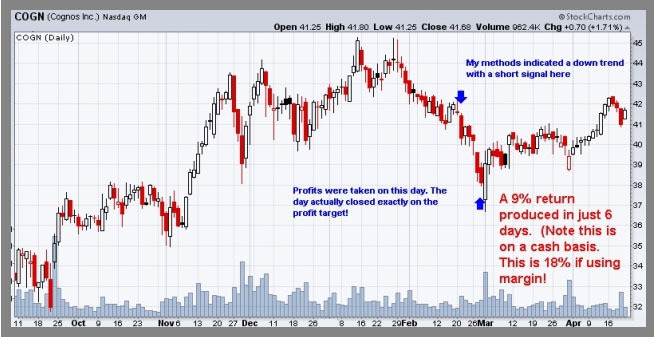 They get the entry points for the trade – the exact stops, they also get the targets. “ I am always looking for quality trading resources for my trading newsletter. 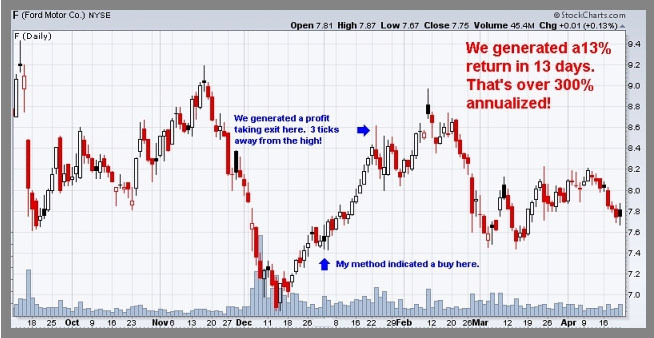 I have frequently promoted the Definitive Guide to Swing Trading Stocks to my prudent subscribers and have never had a single complaint from purchasers. That’s proof positive that this course is a winner. “ Hi Kevin, I just wanted to drop you a line to tell you how much I enjoyed your book. Having read many trading books, it’s nice to come across one that takes a realistic approach, instead of promising riches by Saturday night. Kevin, Your “Trading Laws” section was great. If only more beginning traders could get that through their heads. I found your discussion of Top and Bottom pivots to be clear, concise, and beneficial. In addition to providing a sound trading strategy it is the best and most concise synopsis of the art and science of trading that I have ever read. I heartily recommend it to both experienced and beginning traders. I was going nowhere…until I read your course. I was going nowhere with my small capital until I read your course. I am able to enter the market with confidence and take bite size profits consistently. Many thanks for educating me on Swing Trading. Hi Kevin, Your book is one of the best guides to swing trading I have read. I have utilised several of your ideas into my everyday trading with great success. Money well spent. The methods I use daily. 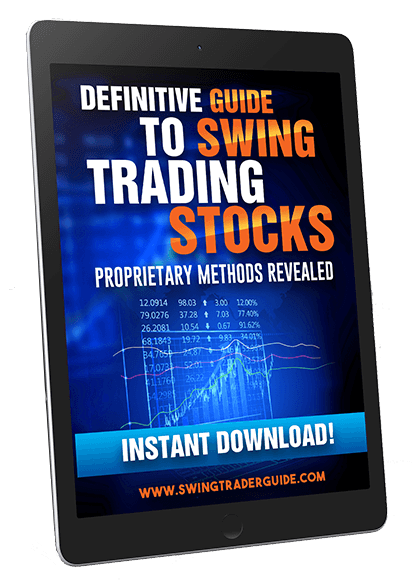 The Definitive Guide to Swing Trading Stocks provides a clear, simple approach to swing trading, which if followed with discipline, yields a steadily growing equity curve. I have bought and read a lot of books, but this is the method I use on a daily basis. Thank you, Kevin! By using Swing Trading Guide, I was able to turn $1K into over $5K in a little over 3 weeks by understanding concepts that show the bottom and tops of price swings. Simple and concise. This book clarified many of my concepts. It is useful in several ways. The trading course manual (PDF format) is a compilation of over 20 years of my personal trading experience and will help most anyone become a profitable swing trader. how the methods work and why they work. This is not a canned stock trading system. You are provided with methods to design a system that fits your personal style. You are guaranteed to receive everything listed here. Your purchased course will contain trading methods developed by others as well as those I have personally developed and trademarked. 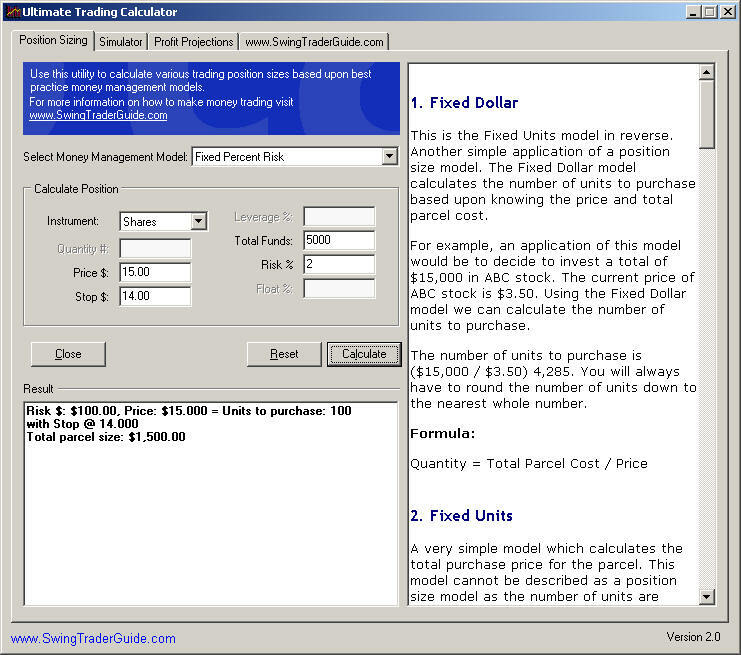 This incredible trading software will calculate trade position sizes according to various money management models, project profits based on earning estimates and includes a trade planner to document each trade you execute. 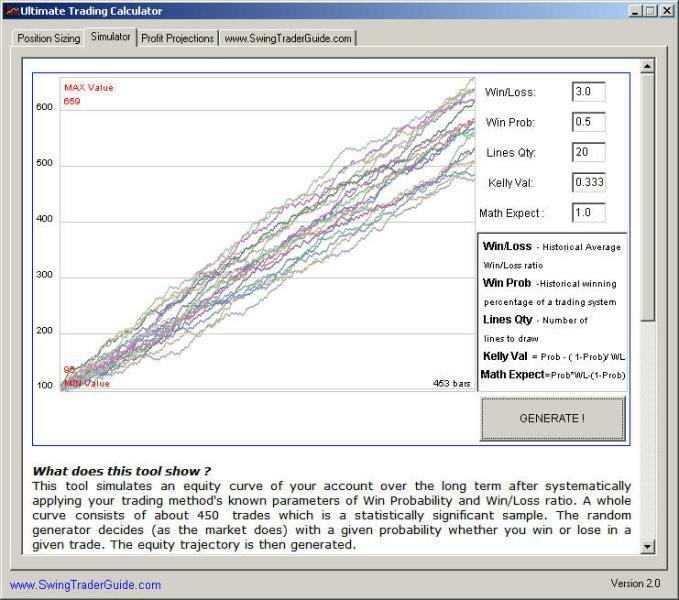 In addition, this software includes a trading simulator which allows you to generate randomly generated trades and the resulting equity curves based on key trading statistics of any trading system. It essentially shows you the probability of a system being successful over time based on it’s trading statistics. Just enter the trading statistics and click the “Generate” button. I built this Excel spreadsheet because there wasn’t anything available on the market that had exactly what I needed for tracking my trades. This spreadsheet will come in handy for both tracking and analyzing your trading results. Annualizes the Daily return YTD. Extend your trading education even more with this collection of trading books. 145 pages packed with valuable strategies for the beginner and veteran trader. This comprehensive trading manual covers all of the basics of trading, so even if you have never traded before, you won’t feel like you are swimming with sharks. Then it will take you into the depths of trading the way a submarine dives into the ocean to reveal what really makes the market move. Learn how to develop critical trading habits in this 31 page eBook. Even the best trading method or system will lose money if you don’t develop the correct habits to create potential net positive returns in the long run. You’ll learn about responsibility, finding a system that fits you, how to plan a trade & trade a plan, continuous learning, positive self-belief, and more. A complete overview of how to scan and identify trading opportunities in any market condition. The strategy will focus you on the stocks that are demonstrating great potential. The detailed descriptions of how to trade the strategy, will explain trading tactics that are used by many very successful traders to profit from these market conditions. Remember, sound money management, stop loss orders (at least mental stops) and strict adherence to a consistent tactical discipline is essential to profitable trading. If you are ready to learn proven strategies that work when it comes to penny stock investing, then The Penny Stock Trading System is a “must have. Strategies in this book have been collected from first hand experience and from the collective experience of numerous experienced penny stock investors. Instead of spouting rhetoric like, “buy low and sell high”, you learn substantive strategies that are extremely effective when done correctly. This is an incredibly powerful yet simple pattern that can turn your trading around. It is effective with any market and has a very high accuracy rate. This is without a doubt one of the best chart set-up patterns you will see. Once you train your eyes, you will see these patterns all over the place. Finally, the first practical, step-by-step, roadmap for designing profitable trading systems. 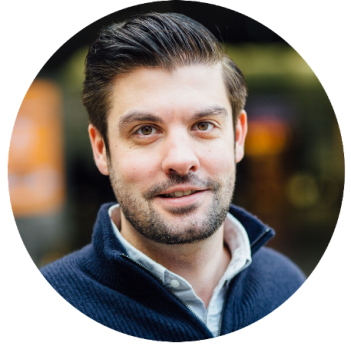 Australian trader David Jenyns reveals the step-by-step roadmap he uses to design profitable trading systems. His comprehensive lesson plan walks you through each section in complete detail, along with homework assignments to help you understand his groundbreaking material. If you have been trading for more than five minutes, you’ve probably clued into the fact that a large part of your success or failure as a trader is psychological. This fabulous e-book will give you a greater understanding into what your mindset should be when you’re trading. If you have no idea what CPI, PMI, or ECI means, then you are like most beginning investors. This book explains these and a few other terms to enhance your knowledge of indicators that affect your investments. This book includes just about every technical indicator imaginable. It offers plenty of charts and terrific information – and it also explains the most important indicators. The markets, as well as techniques for trading them are always changing so you have no need to worry about being left behind. As a paid customer, you will automatically receive any updates made to my trading course for an entire year from your date of purchase. 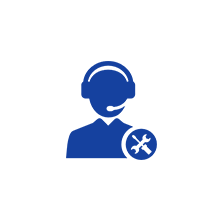 I know how it feels to be sold something and then left to fend for yourself so I strongly stand by my trading course and provide 100% free email support for life! for a prompt 100% refund of your purchase price. You can’t be much fairer than that. Yes, you get immediate access even at 2:00 AM! How much capital is required to swing trade the methods in the course? For most traders I would recommend at least $5000 in starting capital so that commissions don’t represent too large of a reduction in returns on a percent basis. 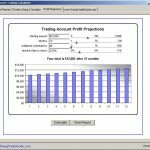 Does this system work with Forex or Futures markets? Yes, my methods work with any freely traded market including Forex and Futures. Does this system work with non-US markets like India? Yes, my methods work with any freely traded market including non-US markets like India. Do you provide code for my trading software? I don’t support 3rd party software but the methods I use are already programmed in most software packages. Do you include trading/charting software? 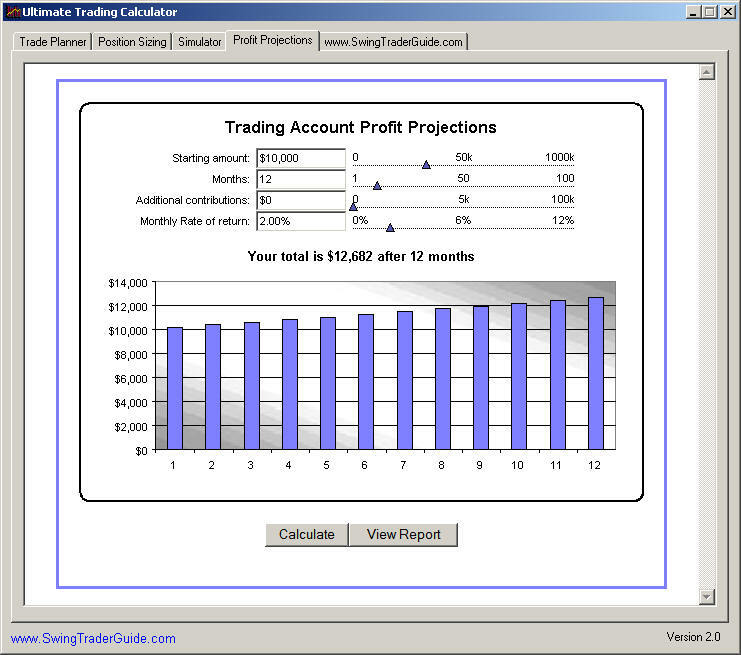 No, I reveal my trading methods that you can use with a variety of trading software packages. Is this a DVD course or digital document? The course manual is provided in PDF format, the tool videos are hosted online and the tools are executable software. What is the average length of time a stock is held for a swing trade? Though this is entirely dependent on market conditions, a typical swing trade is held between 1-10 days. Do you provide advice on which types of stocks to consider for swing trading? Yes, I provide the criteria for screening the market for desirable stocks for both long and short trades. How frequently are trade signals generated? This depends quite a bit on your capital and market conditions but generally you can expect to see 10-20 new trade opportunities per week. Can the trading methods be used for day trading? Though the swing trading methods in my course are based on end of day price swings you may adapt them to day trading as well. How much time does it take to analyze stocks for swing trades? 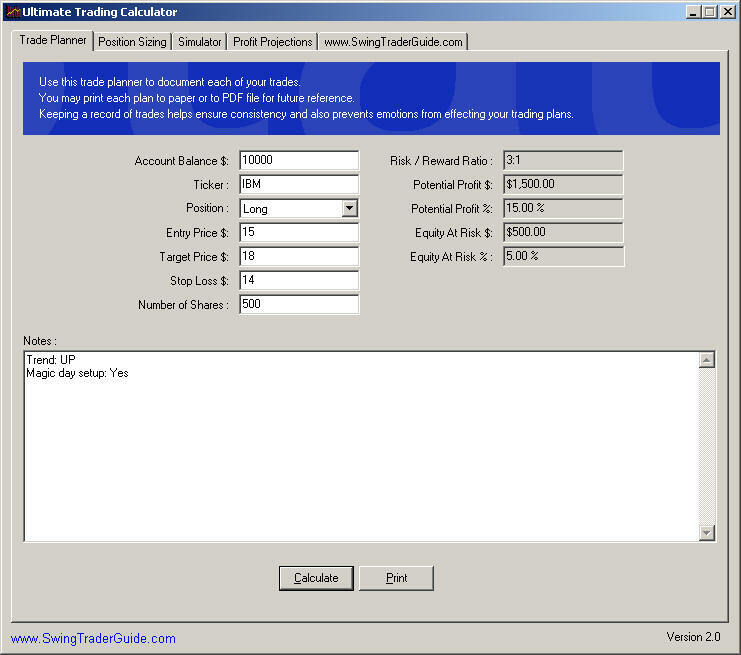 You will need to allocate at least 30 minutes per day to manage your existing positions and analyze stocks for new trades. 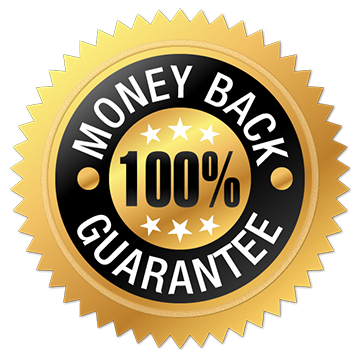 Do you provide a guarantee of any type? Yes, You have a full 60 days to trade with my methods. If they don’t generate a profit on your first 15 trades (real or paper) you may request a refund. Is the course available in print format? At this time the course is only available in PDF format for instant download. Do you offer ongoing support if I have trading questions? Yes, I provide free lifetime email support for the information contained in my course. 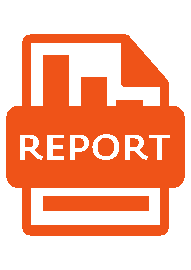 Will I receive revisions and/or updates to the course? Yes, all purchasers will receive any revisions for a full year after purchase. 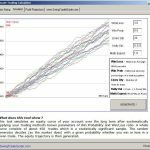 Are there any special software requirements to trade your methods? Yes. I recommend a few software packages that allow for standard as well as custom formulas. Some are FREE! Do you offer payment if I refer others to you? Yes, we do have an affiliate program available for those that wish to offer our product for sale to others.